Join the Pirates for a Night of Fun! 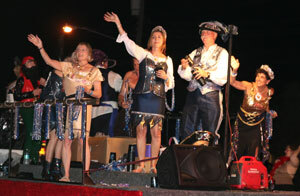 Join us for the always-exciting 64th Annual Billy Bowlegs Torchlight Parade, sponsored in 2019 by Step One Automotive Group. Here's a link to the Parade Application.